These specialized Notching bits were specifically designed for use with the Kreg Precision Beaded Face-Frame System. Each bit features a high quality1/2-Inch shank construction along with high grade carbide tips for extreme durability. 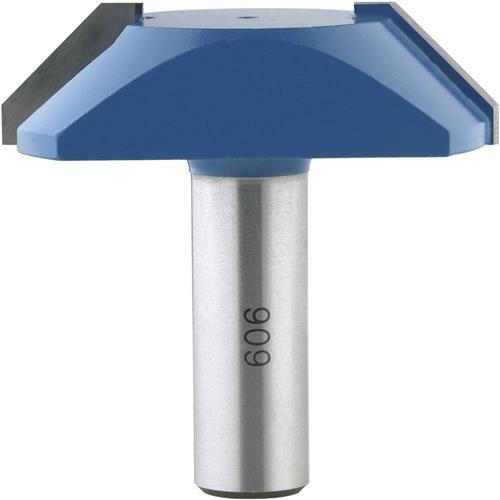 We currently 4 standard Notching bits depending on your rail widths and bead of choice. Available in 11/2-Inch and 2-Inch sizes to allow one pass operations in 11/2-Inch and 2-Inch wide rails and stiles. For material rail widths greater than 2-Inch, multiple passes using either the PRS4200 or PRS4205 are required. For rails and stiles wider than the minimum, multiple passes will be required.